Design Tracker is a hypothesis tracking system used across all sites and research areas in AstraZeneca by the global chemistry community. It is built on the LAMP (Linux, Apache, MySQL, PHP/ Python) software stack, which started as a single server and has now progressed to a six-server cluster running cutting-edge high availability software and hardware. This chapter describes how a local tool was developed into a global production system. Design Tracker has been mentioned in a few external presentations before but I believe this is the first firm details about it. We talk about its use and how it came to be a global chemistry tool from a prototype at one site. 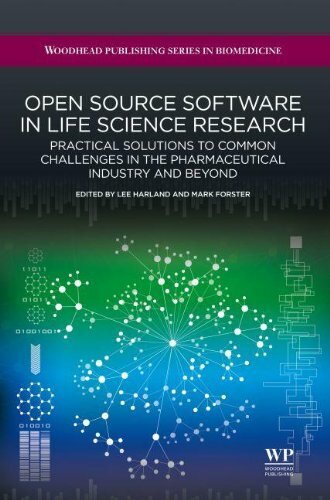 As the book topic suggests we also cover the open source technologies we used to power it. While LAMP is not new, it is not exactly mainstream in the corporate environment for many pharmaceutical companies. We had to harden our setup to make it suitable for 24⁄7 use, so in addition to the regulars on LAMP we added Red Hat Cluster Suite, Continuent Tungsten and NGINX. We also took the opportunity to move away from apache/mod_python to apache/mod_wsgi. The end result was a service which is available 24⁄7 and future proofed compared to our previous solution. The worlds most dynamic and frequently visited websites are powered by similar technologies so they have clearly proven themselves to be suited for the relatively modest needs of a single pharmaceutical company. The book is available on Amazon UK & US and probably your favourite book reseller as well (ISBN: 978-1907568978). I hope you enjoy our chapter and the many others interesting topics covered.